More wickedness from our Master Quiz Mistress to tease your ‘grey matter’! Come along and pit your wits. Have another fun evening with your fellow campaigners. Have you got some friends who could add their ‘expert’ knowledge to your team? All welcome, come along and have a great night. 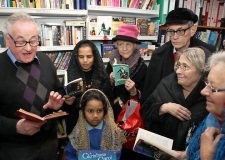 Our very own Geraldine has been chosen as a ‘Giver’ on ‘World Book Night‘. She has been gifted inscribed copies of ‘Girl With A Pearl Earring’ by Tracy Chevalier. She has organized an event at ASDA in Wembley Park tomorrow Tuesday 23rd where the first 6 people to ask will be given a copy. 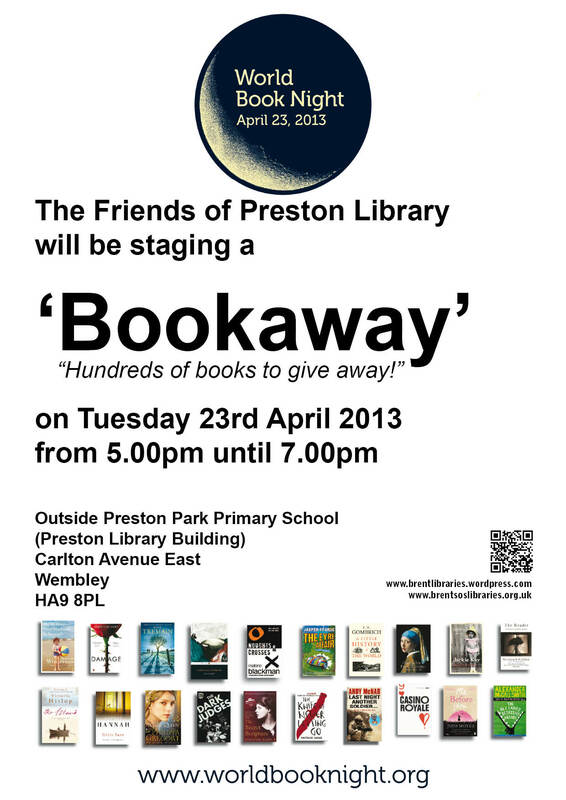 We will be giving away hundreds of books along with World Book Night. Come along. Alongside the Light of Learning torch relay marking 1 year since library closure PRESTON COMMUNITY LIBRARY will reopen at 235 Preston Road, with a marathon reading of Lewis Carroll’s Alice in Wonderland. We would like chidren to come and help us read Alice from start to finish. Please let us know if your child would like to take part. 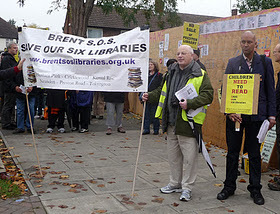 PLEASE COME AND SUPPORT US – We have over 2,000 donated books. We will only have about 700-800 in the reading room at any one time. The reading room will open on Sunday mornings from 10am until 1pm starting this Sunday 14th October. It will also open on Thursday afternoons from 2pm to 4.30pm starting 18th October. The performance poets Tim Wells, Fran Isherwood and Chuquai Billy are pleased to appear as part of The Kilburn Comedy Festival. 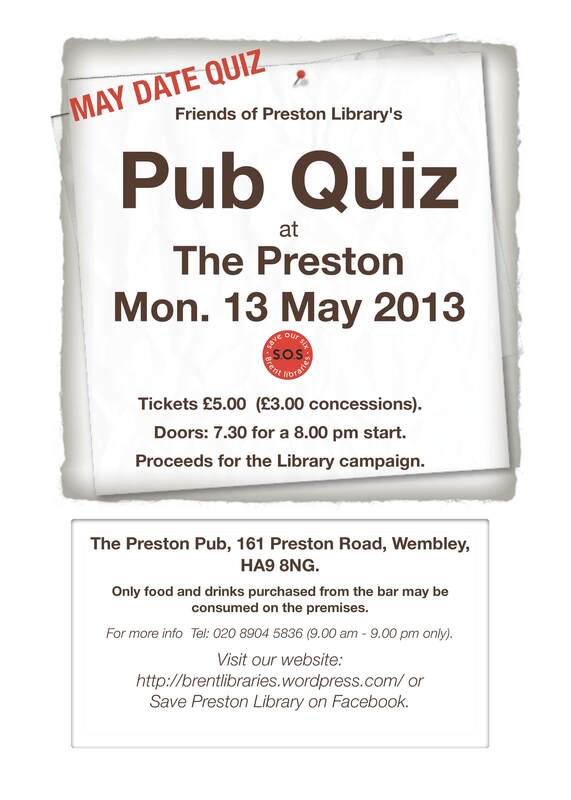 The evening is in support of Preston Library. Tim Wells is a poet who’s performed world-wide. He’s toured the U.S 12 times and been translated into many languages including Chinese. He is a regular guest poet on BBC Radio London and is writer-in-residence with Tighten Up . Fran Isherwood‘s poetry is a wry and playful gallop through the vagaries of life encountering mail-stealing snails, lollipop ladies, Glam Rock, insomnia and macabre part-time jobs en route. Chuquai Billy is a Native American performer from the Lakota Sioux/Choctaw Nations. His material is friendly, funny and (mostly) historically correct with observations on life on the native reservation, life in the UK versus the US and on current affairs. They will be joined by other quick-fire poets and the audience can judge the winner. 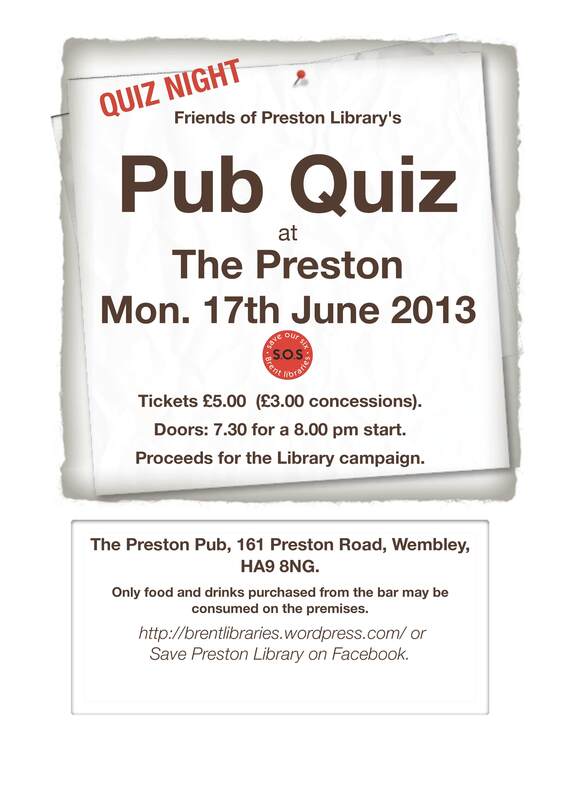 Tickets: £8 (£5 Concessions/Friends of Preston Library) – Book on 07773951099 or on the door. Children’s activity day @ Preston Park School, College Road… 10.15am – 4pm… Storytelling, pop-up library, guest authors, art corner..and more. What the Dickens! 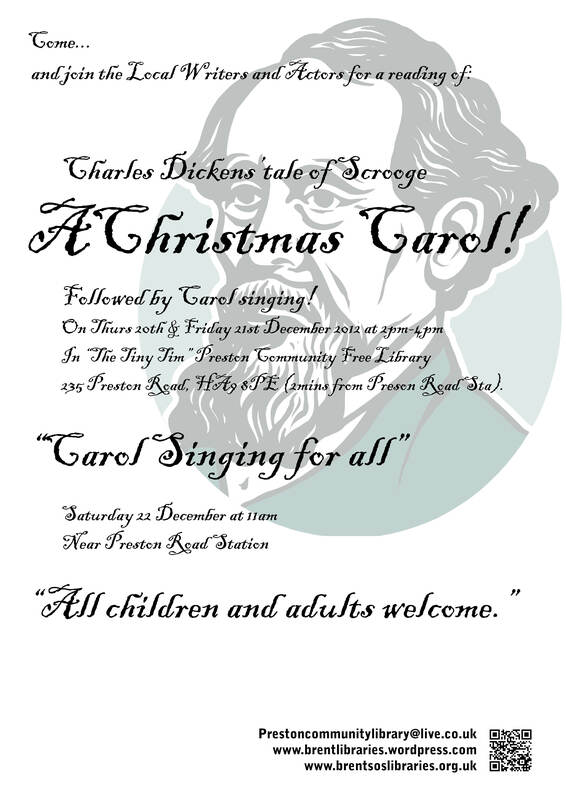 Celebrate 200 years of Dickens @ The Windermere… 7.30pm… Readings, Open Mic, guest poets and of course ale. Come dressed up in your favourite Victorian garb. Who said Preston Library is dead?? Professional quizmaster, raffle and prizes! Come along and show your support for a hard fought campaign. It’s not over yet! Oh Library! Oh how I love you so! 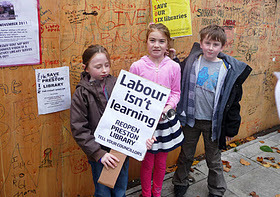 Comments Off on Oh Library! Oh how I love you so!